Since the time of web-explosion, website design and web development has come a long way from mid 90s text-only-affairs, to current impressively astute pieces of art and information. The ever evolving new web design and development techniques have paved the way to easy website maintenance regimes. But this does not restrain the fact that a lot of hard work and thought goes into building a good website. The website elements that were thought to be ground breaking last year, are now replaced by smart and interactive designs this year. In such a fast paced territory, it is quite challenging (if not impossible), to maintain your website in best practice with what users demand. It is quite evident from the above facts that users today demand fast loading information, valuable content and smart interactivity, mixed with just the right amount of professional aesthetics. You are never too far away from seeing dwindling traffic or negative growth at your website, if you do not keep up with latest website design trends. When it comes to building huge traffic and engaging more people with your website, hiring experts for the job makes good business sense. The need for a good website has become imperative, and at the same time more complicated. It is quite an absurd idea for business owners to run their businesses, while simultaneously also keeping their website maintained. This is why some people have turned to professionals. But before you hire a professional; is it possible to know in advance if you really do need a new website design? Are there any signs that indicate your current website elements are insufficient? There are many ways to check the website effectiveness through statistical signals. While the main aim of running a website and your SEO efforts could be to attract maximum number of visitors, it is equally important to know where your visitors are coming from, what do they like on your site, and do they return back to your website? Besides telling you how popular your website is, this particular statistic can also let you know if your visitors return back to the website. And if they are revisiting, then how often do they visit. The statistical data usually tells the total number of visit and number of unique visitors. By comparing these two numbers you can find out the real picture of your website popularity. If these numbers are not appealing, you definitely need to see a professional to bulge up your popularity through SEO and comprehensive website makeover. Analytical statistics can also let you know what web pages are most liked by your visitors. 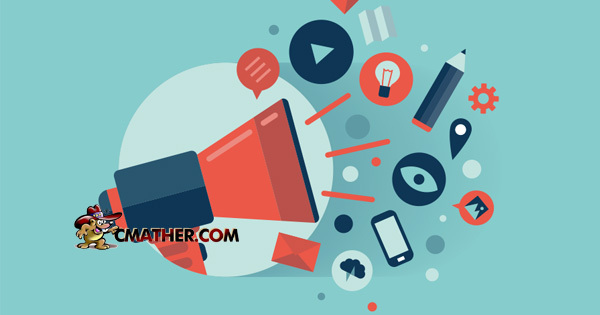 In addition to indicating popular pages, it also suggests which page receives maximum inbound links from other relevant websites, and which page serves as a significant entry point for the traffic coming through search engines. Professionals can make the popular pages of your website deliver important information about what your visitors are looking for. Experts can use this valuable set of information for optimisation and driving more traffic through resourceful advertising. This is another statistics that lets you improve your overall user experience through knowledge of the user’s browsing behaviour. You can get details about the path visitors take to browse through your website and how much time they spend on your website. Professional web designers and developers can use this information to enhance the effectiveness of your website, by ensuring that pages load faster and offer easy navigation to find whatever your visitors are looking for. It tells you where your visitors are coming from. It helps you to know the effectiveness of your marketing campaigns. Professionals use this information to test the effectiveness of advertisements and to make necessary amendments in the marketing campaign. Do not fret if all these things sound like an alien language to you. Fix a consultation appointment with an expert web design consultant and they will help you incorporate all these ergonomics into your website. Most of the professionals offer affordable packages to be subscribed to for website maintenance and to drive online traffic to your website. Web designers are now more open to experiment with different fonts. In place of standardised Times New Roman or San Serif, they are now using beautiful fonts that look professional but yet carry a personality. Discard the overused and stale fonts and look for some new font types with a professional appeal. Remember those pretty gradient effects and dropping shadows? Well, if you don’t, it’s better to leave it forgotten because what is quickly trending today is the “flat design”. It’s full of aesthetic appeal, without any dramatic prettiness. “Flat design” that keeps everything simplified is what you should adapt as your website theme. This is the biggest trend in the web design industry. The home pages are being designed with larger entry area that often has an image with very little text. This trend is largely taking over the real estate and industrial websites. You can design to have either clear or blur image with text in the middle or below the images. Such large images are new attention catchers and are becoming viral. Why would a visitor read 1000 words when he or she can watch it? Videos are now an indelible part of most of the trendiest websites. Videos can effectively communicate with the visitors. They are great when you want to illustrate something new or technical and when words just don’t fit right. So, say it with a video for maximum impact. It was several years back when long scrolling websites stuffed with text was a trend. The same old long scrolling websites are now back in trend but with more organised data compiled interestingly. Colours have always been a trend setter. But currently, simple colour schemes are predominantly being used to complement flat designs. Some of the trendy websites are seen with less colours. Colours catch attention and add drama. Every colour between black and white can garner great results, if used in the right proportions. Content is now more simplified to improve readability. Designers are also focusing on dropping sidebars that keeps advertisements and other flashing elements away from the main content. This makes reading experience a lot more pleasant for your readers. If you want to include all these latest trends in your website but lack the budget, there of course are simple DIY website builders that are generally offered free of cost with web hosting packages; but they often offer limited aesthetics and design elements. If you want your website to stand out and perform to meet all your expectations, it’s worth spending some money on customised web designing solutions. Moreover it is now easy to get affordable web designing companies that offer quality services. 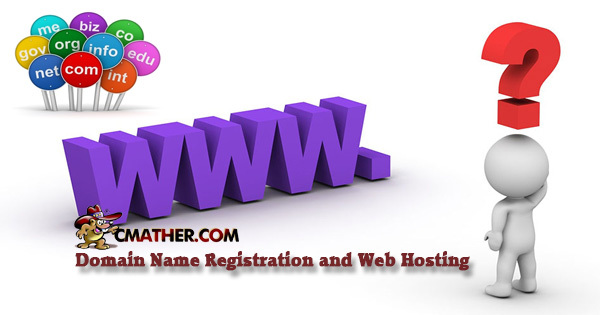 The blue print of a good website that functions as per user demand cannot be completed without considering good domain name registration services. A matching domain name will not only enhance your branding, but will also make your website easy to remember and cite. It could be the worst situation if customers are looking for your business, but couldn’t find your website with the same name as of your business. Coming up with a domain name that is simple, short and matches your business could be a challenge worth exploring multiple solutions. But remember, just to keep it short, don’t use incomprehensible acronyms. It is a great SEO support, if your domain name includes the targeted keyword. This helps achieve better ranks over search engines to increase online traffic. Use relevant keywords in your domain name that sound natural. Your domain name must describe what your business or website is all about. This makes it easy for visitors to relate to your business with what they are searching. You can register multiple domain names with different spellings (or misspellings) of the original domain name, and direct them to your original website. This can stop visitors going to other websites if they type your domain name incorrectly. While it may be impossible to get the desired domain name with a .com extension; look for alternative extensions in which the domain name is available. It may take a good amount of time and effort to craft a perfect domain name, but it’s worth taking the time and effort now to get right because ultimately your domain name is your real online identity. There also are many IT consulting firms that can give you free advice on how to select best hosting services, depending upon your business requirements. While selecting a hosting solution, you must consider future requirements, because one day you will need to extend your website or add new elements to improve its functionality. It’s an old adage – “nothing is permanent” – and it stands absolutely true even in the web designing and development industry. The trends keep changing faster than you could roll the ball with it. To keep enhancing the blue print of your website, you must keep reading informational blogs and articles from experts to get valuable industry insights and deep industry knowledge. No matter how future proof your blue print is, if it does not incorporate security measures, it is red – not blue yet! Ensure tight security measures are implemented at each level from hosting to user interface. In the modern world when everything and everyone is highly obsessed with Internet, your website is the key to success in the online and offline world. Make sure all its components are in perfect sync with the blue print of a good website.